Within just a month of its launch in Europe, the Tesla Model 3 has become the best-selling EV. It also outsold premium mid-size saloons like the Mercedes-Benz C-Class, BMW 3 Series and Audi A4. It’s no secret that Tesla’s journey as a carmaker hasn’t been easy since 2008 – the year when they got into the business of selling vehicles. The American manufacturer has been through a lot of ups and downs, which included multiple financial troubles, various lawsuits, unrealised production targets and many other controversies. Amidst these tough times, Tesla, however, has also done something remarkable. They’ve made electric cars desirable, and in a way, they’ve revolutionised the auto industry – something they continue to do so with their impressive line-up of electric cars. Now, while Tesla’s electric wave initially began on their home turf in the United States, it’s now steadily reaching in other parts of the world. Take, for instance, their current sales performance in Europe. Tesla launched the Model 3 in some parts of the continent only in January 2019, and it has straightaway gone on to become the best-selling electric vehicle in Europe. 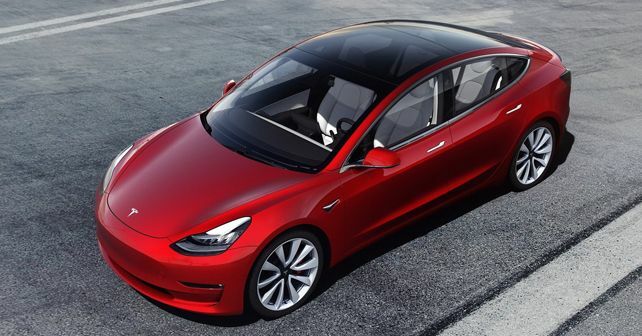 The success of the Model 3 is so enormous that it has also outsold premium sedans like Mercedes-Benz C-Class, BMW 3 Series and Audi A4 in February 2019. Out of a total of 11,800 units sold in the segment, the Model 3 has a claim on 3,630 units! A remarkable feat considering that these figures include the German market – the home of the likes of automotive heavyweights such as Volkswagen, Mercedes and BMW. Another interesting thing about Model 3’s sales success is the fact that most of the units sold in Europe came from private registrations and not business/fleet registrations. Now, whichever way you look at it, the Model 3’s strong sales in just over a month is definitely going to ruffle a few feathers, meaning that European manufacturers will most likely speed up their EV operations.